Making A Home – Page 2 – Sharing about homes, families, gardens, food and more! Christmas is my favorite holiday. I just can’t help it, I love this time of year. The decorations, the smell of pine trees and candles, the Christmas carols playing, the squeals of excitement from children. People seem to be kinder to one another this time of year, they smile more. Now that my daughter is an adult with a home of her own, Christmas at our home is a bit different. While decorating this year, I decided that if I had to climb a ladder, I wasn’t putting it up. Step ladder, was okay, but no more ladders! We have carefully assessed decades of Christmas ornaments and sadly eliminated some, those that were just worn out. 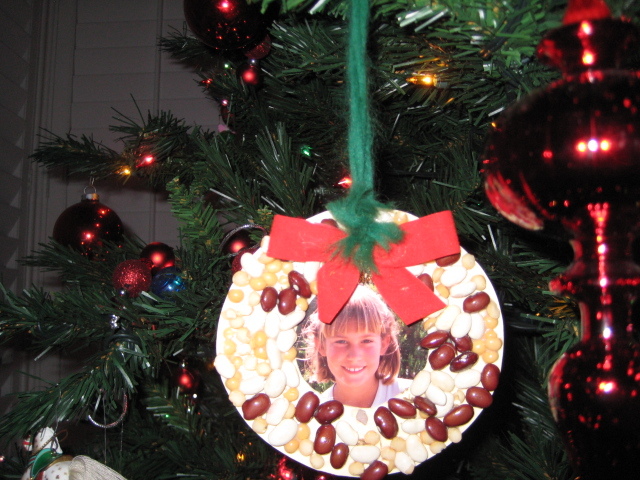 We still have a couple of macaroni and dried bean ornaments with our daughter’s photo in the middle, made when she was in elementary school. What memories! My friends and I used to do it “all” at Christmas…we baked and cooked and prepared the guest rooms, getting ready to host extended family and friends. We shopped for and wrapped endless Christmas gifts. We stood in line at the post office. We took the kids to “Breakfast with Santa” and “The Nutcracker”. We had Gingerbread House decorating parties for the kids. We went to school programs and visited nursing homes with Girl Scout Troops. We went to Christmas parties, and sometimes hosted them. We shopped for the perfect Christmas tree, sometimes even cutting it down ourselves, then decorated it while drinking hot chocolate and listening to Christmas carols. We popped popcorn and watched “It’s A Wonderful Life” and “A Christmas Carol”. We went to church on Christmas Eve and helped with the Christmas flowers, music and programs. We made sure the kids found the reindeer hoof prints on Christmas morning and the crumbs that Santa left after he ate the cookies and drank the milk we left for him. What stands out to me while I remember years of holidays is that it was never about the presents. Yes, the kids loved opening presents and Santa was always generous. And, we love getting thoughtful gifts from our loved ones. But, what stands out is that it was the gift of ourselves and our time that was the most meaningful. Does your daughter remember what gifts she received when she was four years old? Or does she remember sitting in the balcony at the Crystal Cathedral watching the Christmas program and the angels flying by and saying “Mama, are we in heaven?” Still brings tears to my eyes! The gift of our time is really what is most important to our loved ones. So, this Christmas, my wish for you is that you enjoy the time you have with your family. The time spent with them is more precious than any gift you can purchase. Cherish your time with loved ones and create wonderful Christmas memories! We have SO MANY limes, and now lemons, in our backyard and this blog gave me some great ideas about how to use them! Enjoy! Doesn’t it seem odd that citrus are a winter fruit? They taste so fresh, bright and summery. But their peak season here is when the weather turns cool, starting in the fall, and continuing into winter. This is the time when you most likely will find citrus of all kinds on sale, and at their most abundant. And so it was, when I found bags of limes and lemons, selling for a pittance at the market. I could never resist a good deal when I saw one, so a couple of bags were duly bought. Even though I knew my annual box of citrus and persimmons would arrive from California, courtesy of my sweet and generous mother-in-law. What I Have Learned After 20 Years As A Realtor? Understand the documents your prepare. A contract is a legal document and most likely binding. Your clients have hired you to understand the contracts and advise them. If you don’t understand something, ASK. Have “Professional Standards”, standards that you determine. Be realistic, but have standards. By the way, they can change over time! Your friends and neighbors may not work with you — it’s okay. Some will, some won’t. Keep in mind that just about everyone knows a Realtor; they may have a family member or friend in the business. And, they may not want you to know their business. It’s okay. Don’t be mad. It’s not about you. Nope. You have an agreement with your clients to represent them and their best interest. That means you do what’s best for your client. It’s not about you, your commission, or your problems. I always tell new agents, “If it is in your client’s best interest to get them out of a transaction on the day before closing, it’s your job to do so, even if it means you DO NOT GET PAID…” You have a fiduciary responsibility to do what is best for your client. Think before you send that email or speak those words. You may not be happy with the agent representing the other side of a transaction. You may not like them or ever want to work with them again. But, five years from now, you may find yourself in a position to do just that. And, you won’t be as mad then as you are now! Sometimes it’s a good idea to write that email, but don’t address it. Write it, read it, sleep on it, and read it again. Then you can decide whether or not to fill in the address field and hit send. Your clients don’t speak Realtor lingo. They probably don’t know what COE, RPA and DOM mean. Don’t expect them to. Be happy when your clients contact you after closing. Answer the phone, email or text. You WANT them to contact you for help and information! BE FLEXIBLE! So your professional standards say you only show property in the afternoon. What happens when you have a client who works the Swing Shift? You don’t work Sundays, but a client can only look at homes on Sundays and Mondays? When in doubt, “Use Common Sense”! Schedule time with your family. I never missed a school assembly, field trip, concert or any important event in my daughter’s life. My husband and I take vacations and days off. It is an “appointment”, just like any other in your life. You will work lots of early mornings, late nights and weekends. It’s okay. Get to know the people who are your clients. Most of them are great people, real people, you have helped them with a major event in their lives. Become a part of their lives and families. It’s awesome! Make sure you make room for JOY in your life everyday…otherwise, what’s the point! Autumn IS A Productive Time Of Year! We harvested the remaining pumpkins from our garden this week. We had a record-breaking crop of pumpkins this year. Actually, it is the only year I can remember when we had more than one very small pumpkin on the vine. I don’t know what we did differently this year, I know we did not have big expectations. But, our garden was certainly bountiful this summer! When you have a garden, you plant the seeds, watch them germinate, pull weeds, water, fertilize, chase critters away. You help the plants through hard times…too much heat, too much cold, not enough water, too much water. Some don’t make it, some surprise you. Instead of letting the garden become dormant, we are preparing for a winter garden and then the spring garden. Even though the garden looks bare right now, there is a lot going on. Planning, sketching, mulching, reading about new plants. It is definitely a busy time for a gardener, just different. In my real estate business, I am also preparing for 2014…preparing my business plan and goals. Looking at what works, what do I want to change. It is an exciting time for me as I look at all the possibilities ahead and the families I can help in 2014. Someone asked me the other day if I am taking off the rest of the year! Ha! Some people DO think that the real estate business comes to a grinding halt during the last two to three months of the year. Nothing could be further from the truth. I almost always have a very busy fourth quarter. It is a great time to sell a home. The buyers who are looking are usually serious buyers, the looky-loos have other things to do. And, if you are a buyer, the sellers who have their homes on the market this time of the year are almost always serious sellers. Negotiations are usually easier this time of year – people are happy. Homes look great this time of year. They are decorated, the smell like pumpkin pie and turkeys in the oven. And, you won’t have to ask “I wonder where they put the Christmas tree”, you will be able to see for yourself! So, if you are contemplating buying a home in San Diego, or selling a home in San Diego, looking for investment properties, or are looking for a vacation home, don’t let the holiday season stand in your way. This is a GREAT time of year to take that step! I have lived in San Diego for over 30 years, so it’s easy to forget that this is such a military town. It is a way of life here, something that too often is taken for granted. I have been around the military and military families most of my adult life. Living in San Diego, most of us have friends and business associates who are, or were, in the military. I think all branches of the service are represented here, but mostly Navy, Marines, and Coast Guard. Once when we were attending a Century 21 event in Coronado and were staying at the Hotel Del Coronado, we were awakened about 4:00 am to Navy Seals storming the beach as part of their training. We got up and had our coffee on the balcony while watching them. It was awesome! I had the privilege of attending a client’s Retirement Ceremony from the Navy on Friday. She has served as a Navy Nurse for 22 years. A remarkable woman, I don’t think I have ever seen her without a smile. She is an optimist, a lover of animals, and has a great laugh. When she moved to San Diego, it was with the goal of finding a home that would enable her to reach her ultimate goal of expanding her dog rescue organization. We found the perfect place in Dehesa Valley. 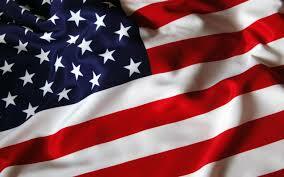 While I have seen it before, the Passing the Flag – Old Glory Ceremony, always makes me cry. It is so moving. And, this week, it reminded me how honored I am to be able to work with so many clients and friends who serve in the military, whether active duty or retired. Why I am so glad I can help them with buying or selling a home, and help to ensure their move is as stress free as possible. That we find a place where their families will be happy and secure while they are deployed…perhaps a home they can return to at retirement…an investment in their future. If you have never seen the ceremony, take a few minutes to watch. I think you will be proud of our military men and women, too! What To Do With Too Many Limes? 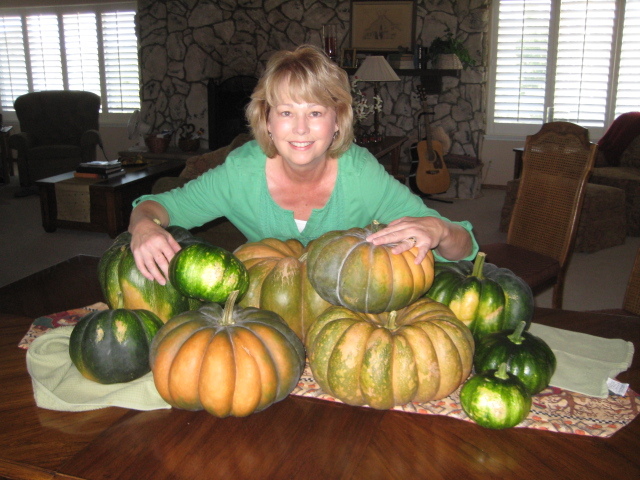 You may know from some of my posts that I love to garden and love to cook. We have a wonderful lime tree that was supposed to be a “dwarf” tree. 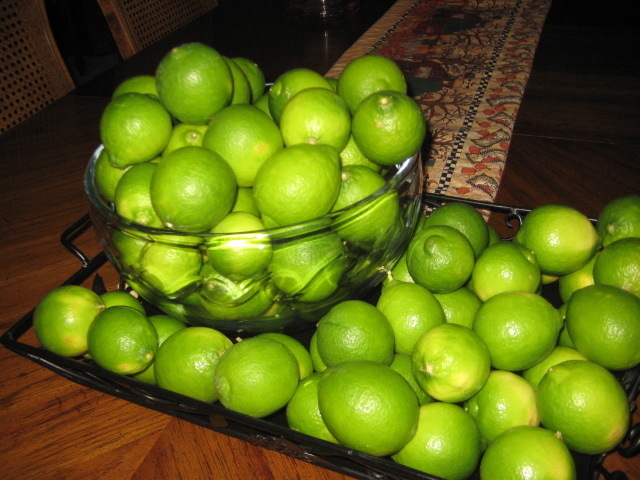 Well, it didn’t turn out that way and we have hundreds of limes on the tree! We give them away by the dozens, but can’t keep up with the limes. Inspiration sometimes comes in strange moments. This morning while I was enjoying a cup of coffee I decided there had to be something to be done with some of these limes. 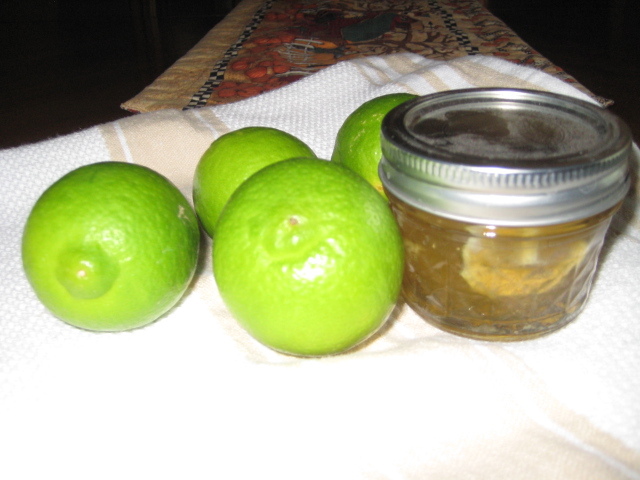 So, I found a great recipe for Lime-Ginger Marmalade. It was really easy to make and I had a great time making it – and it tastes really good! It has been years since I have made jam or anything like that. I had forgotten how getting lost in the moment of doing something you love is so good for the soul. Gardening and cooking are such creative outlets. I love the planning, planting, caring for and harvesting a garden, whether it is flowers or vegetables. Cooking for a family has so many dimensions. The planning, shopping, looking for what is in season, what’s on sale, making what your family likes and trying out new things. Cooking together, setting the table, giving thanks, having great conversation, that’s what I remember about meals in our home. I guess some of the creativity carries over into my real estate business. Challenges almost always seem to arise and thinking creatively about how to best resolve the challenges, and do what’s best for the clients, is a necessity. Whether it is a loan gone bad, something major found in a home inspection, clients who have life altering things happen to them while in escrow…I could go on and on. Thinking creatively to make it all come together is fun and very rewarding. Guess that’s why, for me, being a Realtor ranks right up their with gardening, cooking, and making a happy home! Cultivating a Garden, Isn’t It What Life’s All About? We have been planting and harvesting gardens, in some size or another, for almost 25 years. We usually planted pumpkins along with tomatoes, peppers, corn, zucchini, you get the picture. When our daughter was growing up, we wanted to have home-grown pumpkins to carve into jack-o-lanterns for Halloween. 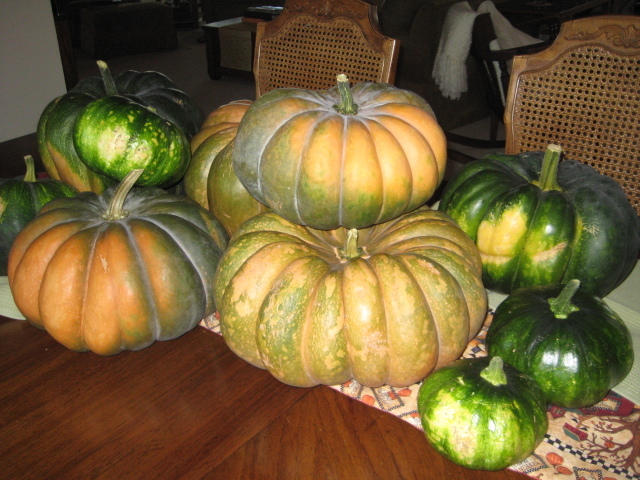 Most years, we were lucky if we had one or two pumpkins out of the crop, and they never got really big. We harvested them and used them for decorations during the fall holidays. They served a purpose, but we were always a little disappointed. We could buy really big pumpkins, better for carving, at the grocery store. This year, we have the most amazing pumpkin patch ever. It has expanded into garden space never intended for the pumpkin patch. But, we are so amazed at what’s happening, we are just letting it go and see what happens. I knew we had a few little pumpkins growing. But when I peeked under the leaves this weekend, I was astonished by what I saw. Pumpkins, lots of pumpkins. And they are going to be big! In a way, the pumpkin patch reminds me of my business. I sell homes in San Diego, and have been for over 20 years. While I never “farmed” (as they call it in the real estate business) an area, I did try to cultivate relationships with the people I worked with, all over San Diego. Why? Well, I really do like and care about the families I work with. I have always believed that the best business is referral business, word of mouth, people recommending your services. You work hard to provide great service and really care about clients. You take care of their needs; you care about their families, their problems, their triumphs. You help them over rough patches and celebrate the good times with them. You answer questions and give advice. And, one day, you realize you have this wonderful group of people who want to help you, too! And, 20+ years later, I am amazed and grateful how my business has grown. Kind of like our pumpkin patch! Independence Day has always been one of my favorite holidays. Why? I guess because it’s about getting together with family and friends for picnics and barbecues, everyone bringing something to share, lazy summer days and warm nights. And, of course, fireworks. Working with military families, helping them sell or buy homes, is a natural part of my business since I live in San Diego, a very military town. I am proud to call the many military families I have helped “my clients” and love helping them. They hold a special place in my heart. When my husband was raising the flag on the flag pole in our yard the morning of July 4th this year he had the opportunity to talk with one of our neighbors. When he told me about the conversation, it struck a chord with me. And, later in the day when our neighbor stopped by, I learned what makes a true hero. Ron is in his 80’s now. He has been married to his best friend and soul mate for about 60 years. Ron is a quiet man, pretty private. He is an old school kind of guy, always polite, never would tell an off colored joke in front of a “lady”. I have been “Miss Terri” to him since we have known him, about 18 years I guess. Ron doesn’t share too much about himself. It comes out in spurts, over years. I knew Ron was an orphan, but did not know much else about his childhood. Turns out his birth certificate reads “Infant Male Unknown Last Name”. Ron didn’t have a name growing up. He was in orphanages and foster homes pretty much his entire childhood. No one ever gave him a name, not a real name. He was called things, but never by his name. He was in and out of foster homes until he finally stayed in one place. He had a foster-brother, son of his foster parents, and he liked this brother. When he moved to San Diego and wanted to join the Navy, he found out he had to have a name on a birth certificate. His brother’s name was Donald, so he took Ronald as his name, along with the brother’s last name. Imagine being 18 years old and finally having a name. Ron served four years in the Navy during the Korean “Conflict” (never was called a war). He was even in shark infested waters for 16 hours once. He has never wanted to call attention to himself and talk about his time in the Navy. Talking about it yesterday brought tears to his eyes. That’s a tale for another day. So why is Ron a hero to me? This man overcame a childhood that no one should have to endure. He served his country with honor. He married a wonderful woman and they have a great marriage, are devoted to one another. He owned a successful business and raised a family. He doesn’t seek recognition of any kind, nor does he want it. He is just an everyday kind of guy. The kind who make this country great. He is my hero. Want To Make More Money When You Sell Your Home? So, you have been pleasantly surprised by the increase in prices and you have decided to take the plunge and put your home on the market. You have watched the TV home improvement shows and know you should “get your home ready” or “stage” it, but what does that mean? I can’t stress the value of “curb appeal” enough. When potential buyers arrive at your home and walk to the front door, are they making a list repairs that need to be completed? Or, are they drawn to the freshly painted and welcoming front door? The new door mat? The colorful flowers in the pot? It makes a big difference. I recommend you stand across the street from your home and pretend you are a buyer…what do you see? Let your emotional ties to the home go and be honest. Is the front door dusty and in need of paint? Can you see the trash cans? Are the walks clean? Most homes show better with less furniture. You have decided to move, so start packing! Rent a storage unit for furniture that blocks paths through your home and put them in storage. Do you need all the books on the book shelves – probably not, pack them. What about out of season clothes or toys your kids don’t play with anymore? Now is the time to de-clutter – if you haven’t used it in a month, does it really need to be out on a counter? If not, donate it or pack it away! You must de-personalize! Pack up those personal photographs. You want potential buyers to say “I can see myself living here” not wondering what kind of people live here now, looking at your family photos to see if they know you! Your house needs to shine! Wash windows inside and out. Re-caulk tubs and showers if needed. Polish faucets and mirrors. Replace worn rugs. Hang up fresh towels. Keep the beds made! Now is the time to make minor repairs. Even better is to have a home inspection that you can provide the buyer with a list of the items you have or will take care of. Taking a couple of weeks to prepare your home for sale can be worth literally thousands of dollars…REALLY. I would be happy to share more details for how to prepare your home for sale, just let me know how I can help you! I made a deal, kind of a New Year’s Resolution, but bigger than that. I promised to live my life with joy in 2013. 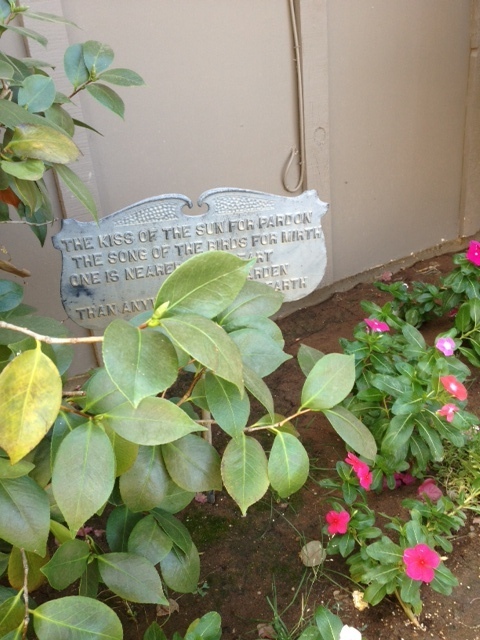 Actually, my word for 2013 is JOY….it is written on a stone in my office. So, I am committed! Now, that may seem kind of simple, but when you have a pretty busy life, you can lose those joyful moments. I am a Realtor, have been for 20 years. It is hard work, but I love it…love selling homes, finding homes, solving the problems that invariably arise, putting a deal together, having happy clients, all of it. I even like to look at houses when I am on vacation! Some days, I work 12+ hours. Some weeks, it’s hard to take a day off. So finding the JOY is easier some days than others. What I have discovered so far is that JOY really comes in the simple things in life. For me, I love my garden, flowers, plants, vegetables. I love the beauty of it. I love the process, from prepping, planting, growing and reaping the benefits, the smells, the tastes, all of it. I love feeding the birds and butterflies in my yard. We have doves, hummingbirds, mockingbirds, robins, road runners, jays, Lazuli Buntings (they are so colorful), woodpeckers, owls, hawks, quail, finches, sparrows, and more. They eat a lot, but I don’t mind. I love watching them, listening to them. Today I had an hour to kill between appointments so I ended up walking down a small town street, in and out of shops. My joy for the afternoon was an ice cream cone…all by myself…in a waffle cone, double scoop, even dripped down my chin. It was indeed a joyful moment! So, what are the little things in life that bring you joy? I really want to know!